Didi charged passengers an extra fee during the holiday week to compensate drivers. However, the increased fare did not bring a satisfying solution to either driver or passengers. The lunar new year holiday is approaching to an end and the passenger flux also welcome waves of peaks during the holiday week. According to the railway data, the passenger number reached 111.14 million on February 9th. In order to continue providing car-hailing service, DiDi charged extra fare during the holiday week. However, the increased fare did not bring a satisfying answer to either driver or passengers. The spring festival is the most important holiday for Chinese just like Christmas for the west. The railway total passenger flux aggregated from all transportation means surpassed 1.4 billion in the past 20 days (from January 21st to February 9th). During holidays, the car-hailing service became more difficult than usual. DiDi as the leader in the car-hailing market, the average MAU (monthly active user) in 2017 reached 71 million, which is over 30 times of the No. 2 player in the market – UCAR (Shenzhou Zhuanche, 神州专车)’s MAU then was 2.6 million. DiDi takes 90% of the market share in car-hailing service. However, the spring festival seems to be downhill for the car-hailing service market. DiDi charged extra fee ranged from 1 to 9 Yuan (depending on cities) in spring festival holiday to compensate drivers who worked on holidays. Even with the compensation, the car-hailing was still criticized a lot. Due to the holiday reason, the decreased in servicing cars was foreseen and also the drop in car-hailing service demands. DiDi intended to use the extra fee to encourage drivers to offer services, though the effect seemed not satisfying. 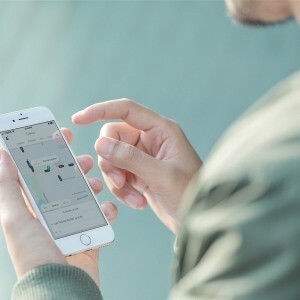 While DiDi was in the dilemma in providing holiday car-hailing services, Hello Chuxing (哈啰出行) started to recruit drivers for its newly-launched car-hailing service. As a new car-hailing service platform, Hello Chuxing’s coverage falls far from DiDi and hence it is unable to fulfill the holiday demand. Though the time Hello Chuxing chose to open the market is ideal, when DiDi was unable to satisfy passengers’ demand, it is also a bad one since the platform also faced the driver shortage problem. Besides the traditional car-hailing service, the Shunfengche (顺风车) service, similar to a free-ride service but it costs, is no longer in service after a series of safety issues happened in 2018. Shunfengche, used to be a constituent part of Chunyun (春运, the integration of all spring festival transportations), had transported 306.7 million passengers in 2018. The cut off of Shunfengche service may also contribute to the car-hailing shortage. Shunfengche's disappearance elevates the costs for those who want to drive home while offering Shunfengche service to lower the go-home costs. Those who were originally Shunfengche drivers went home through other transportation means like railways. Shunfengche could encourage people going home by driving at a lowered cost and indirectly sooth the car-hailing shortage during holiday seasons - the more cars on the road, the more car-hailing services could be provided. But out of safety concern, Shunfengche and alike services are yet to be improved.